Marcus Rashford has been in sensational form in his national team. However, he’s been struggling at Manchester United under Jose Mourinho. Could he show his class this weekend, despite the poor form of the Red Devils? Well, we argue that Rashford could actually score a surprise goal against Chelsea! Marcus Rashford’s been magnificent in his last few international games. The left-winger has scored in 3 of his last 4 matches for England. Since the World Cup, 3 of the 5 goals England have scored was netted by Rashford. However, under Jose Mourinho he’s been suffering, scoring only 1 goal in 5 matches this season. The question is obvious: after the recent success with his national team, could Rashford get in form playing for Man United? Online sportsbook sites in the UK argue that he does have a chance, as the odds on him scoring this weekend are 3/1 at BetVictor Sportsbook. This makes him the second likely United player to score against the Blues! If you have a lot of faith in the young lad, you can also bet on him to score a double (20/1) or even a hat-trick (150/1). However, it’s clearly unlikely for the Red Devils to score 3 at the Stamford Bridge, so if you have a realistic bet in mind, we advise you choose the one goal option. It’s always hard to tell what’s going on in Jose Mourinho’s head. The Manchester United manager could even bench Marcus Rashford this weekend, if he feels the youngster’s a bit tired or lacks sharpness. He has a bunch of other talented left-wingers in the squad like Martial and Sanchez, while the young Mancunian has to compete with Lingard and Mata to play on the right handside. 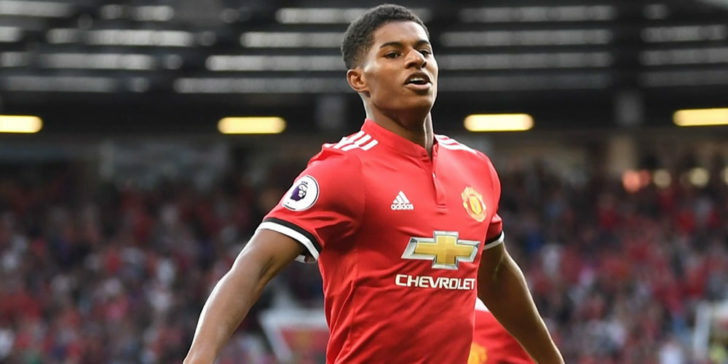 But don’t worry: if you eventually bet on Rashford to score this weekend, and he doesn’t make it into the starting eleven, your bet will be cancelled by BetVictor Sportsbook. The match against Chelsea is going to be the toughest one for Man United so far this season. As the Blues are flying under Sarri, the Red Devils are in a really poor form, with Jose Mourinho can be sacked in any minute. Furthermore, since Eric Bailly’s self-confidence has surely hit rock bottom and Ashley Young’s been running around like a headless chicken, a few Chelsea-goals are almost guaranteed. Therefore, the likes of Lukaku and Rashford are going to be very much needed in the opponent’s box to try and save the game. Betvictor Sportsbook argues Chelsea are going to be ruthless: their odds are 7/10 on the home side, 29/10 on a draw and 22/5 on the Red Devils.